Last week I had the great pleasure of receiving a copy of Fifth Avenue Style by Howard Slatkin in the mail. When I opened the box I felt like it was Christmas morning. 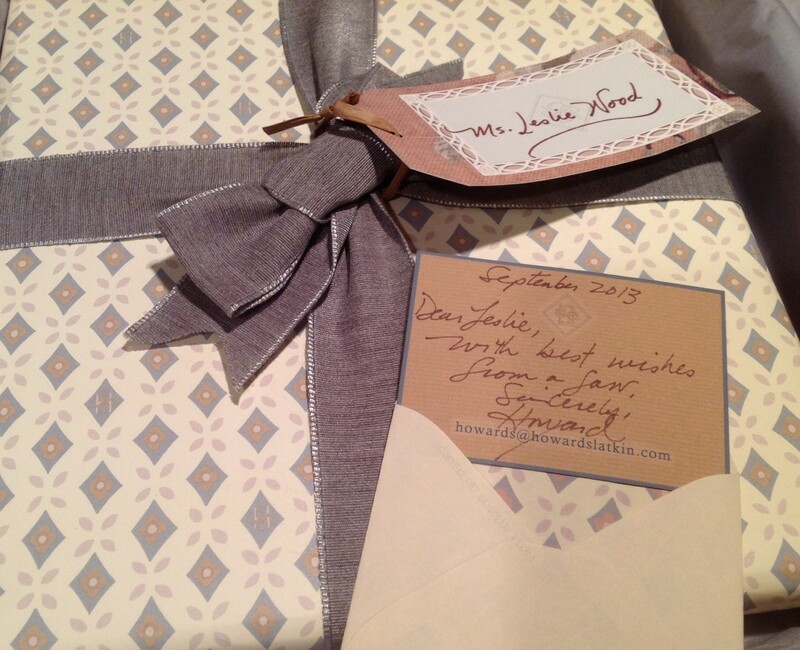 The most beautifully wrapped package sat in the box with an embellished card with my name on it. I carefully unwrapped this lovely jewel. I felt a little guilty because the packaging was beyond exquisite. Underneath the wrapping was the most beautiful book I have ever seen. Now you must understand, I am a connoisseur of design books and I have never seen a lovelier book. 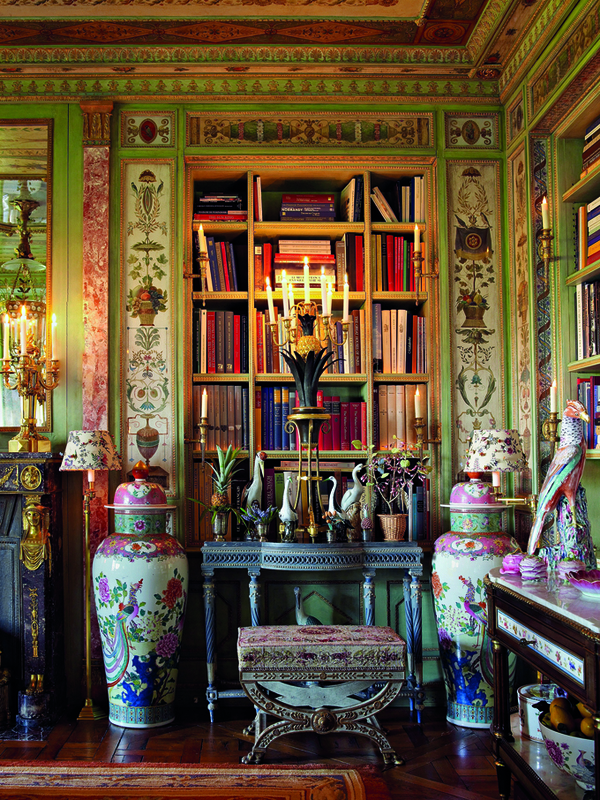 In Fifth Avenue Style, interior designer Howard Slatkin opens the door to his luxurious Manhattan apartment and invites the reader to join him in an intimate tour of his Park Avenue home. Slatkin purchased the apartment because he had longed for a canvas on which he could express himself fully and create rooms which were deeply personal. Slatkin’s objective for the book was to document the fine craftsmanship a talented group of artisans achieved in his apartment and prove that there are still highly skilled craftsman who care about their craft. 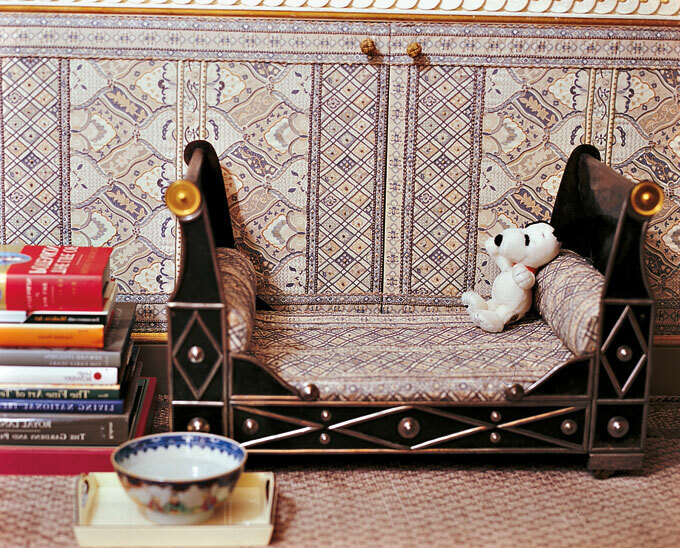 Slatkin gives us an intimate look at the inner workings of his home. He gives us a glimpse of the “back rooms” like the pantries, closets, and service areas. I must say, his “back rooms” are more divine than most living rooms I have seen. He certainly has one of the most well trained eyes for detail I have ever seen. Howard Slatkin’s philosophy of interior design is that your rooms should be deeply personal, make them comfortable for yourself, and in turn, your guest will also be comfortable. As you can see below, the dog even has a comfortable spot of his own. After I finished reading Fifth Avenue Style, I was thrilled to see this intimate video of Slatkin’s apartment on the Quintessence blog. The video is truly the icing on the cake. Fifth Avenue Style is a pleasant reminder that beautiful interiors and fine craftsmanship can still exist in this fast paced, disposable world we find ourselves living in. I suggest you buy your copy today of Fifth Avenue Style, so you can pour over the exquisite pages and delight in the beauty over and over. 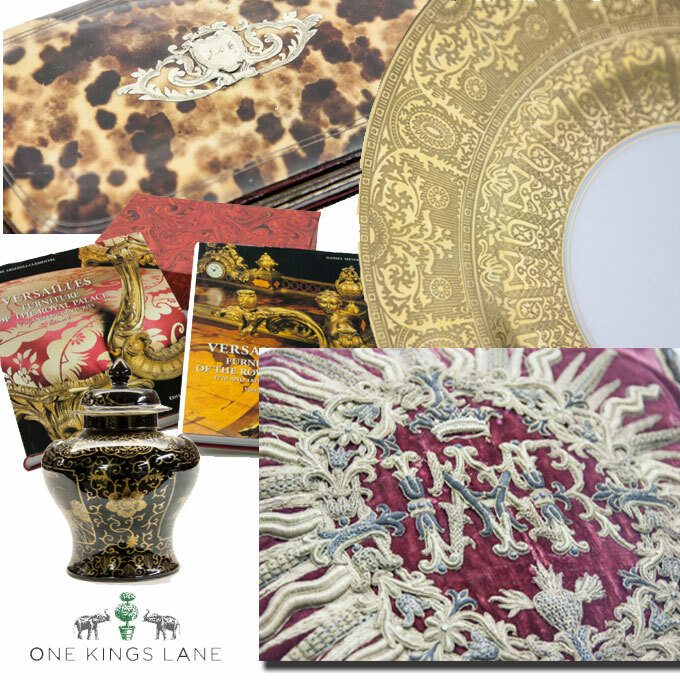 Howard Slatkin is hosting a “Tastemaker Tag Sale” on One Kings Lane on November 2nd and last until November 5th. The sale will consists of books, furnishings, china, linens and more. I, for one, will be logged on to One Kings Lane the first thing on the morning of November 2nd. As you can see from the small sampling above, the items are magnificient. And the best part of all is that Howard is donating all of his proceeds from the sale to charity. Thank you so much Leslie for the lovely mention. It was our privilege to visit Howard’s magnificent apartment and you are so right, his eye for detail is incomparable! Have a wonderful weekend!